Part 3 of 3. 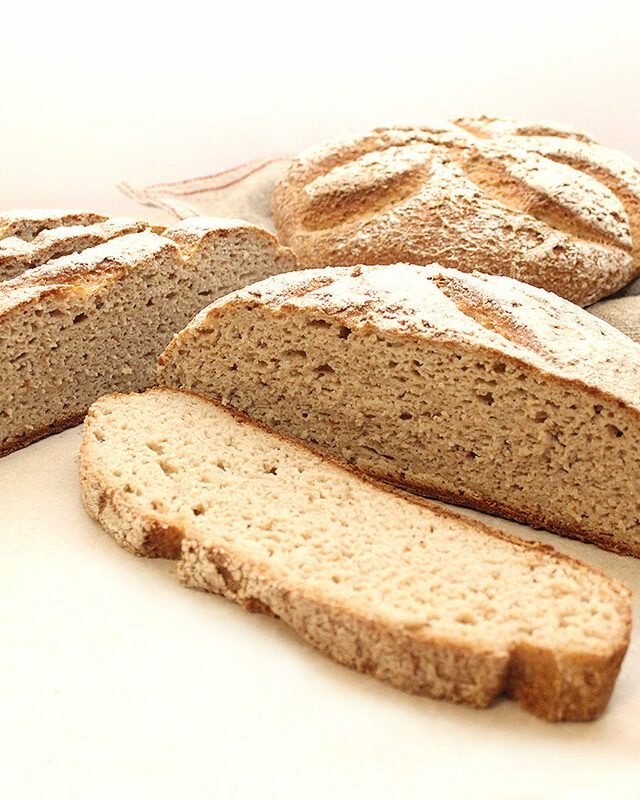 My third favourite bread recipe is my Buckwheat Sourdough Loaf Gluten-Free Vegan. This bread is a lot of fun to make if, like me, you love baking and experimenting in the kitchen. If you haven’t seen them yet, Part 1 is a Yeast-Free Bread recipe and Part 2 is a Basic Yeasted Dough. This loaf will be easy for you to make if you have an active bubbly gluten-free starter. 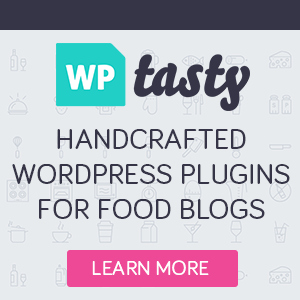 A gluten-free starter—what? A starter is the wild cultured yeast that can be prepared in your own kitchen. Don’t worry, I will explain everything you need to know to give this free-form loaf a try. Keep reading for the instructions, tools, tips and quick how-to video. Do you love squishy white bread—like my dad? I’m sorry, but this bread recipe probably won’t be for you. Instead, please share this recipe with someone you know that enjoys heartier nutritious loaves. If you do share it, thank you! If you’ve recently had to give up gluten, or other top allergens to improve your health, then this recipe might be just right for you! Gluten, eggs, or dairy are not part of the ingredients in this recipe. And, this loaf is also free of corn, legumes, gums and oil. 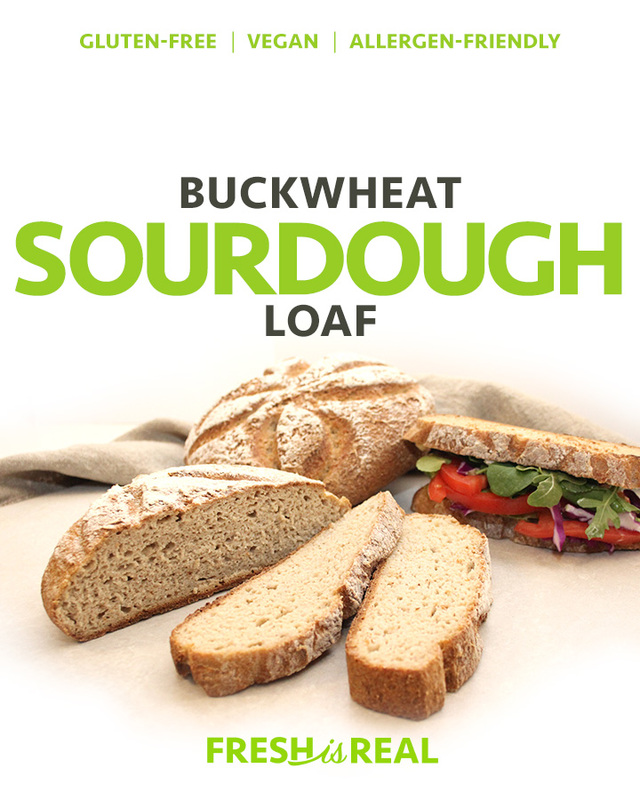 It’s a simple and nutritious sourdough loaf prepared with ingredients that you can find at your grocery store. Sourdough is often known as the easier-to-digest bread for people with various digestive issues. No mixers or kneading are required for this sourdough recipe. You will need a large glass bowl, a few measuring spoons and cups, a sifter, spoons, a Dutch oven (or baking stone), unbleached parchment paper, oven mitts, and well, a regular oven. A spice/coffee grinder, a grain mill, or dry container blender to transform your whole grains and seeds into a fine flour will be helpful. I don’t have a food processor, so I’m not sure if you can mill grains or seeds without turning them to mush. All the grains and seeds listed in the recipe are gluten-free. Always make sure that pre-milled grains (flours) or seeds are certified gluten-free if you are avoiding gluten as a top allergen (or any other). If you prefer to buy whole grains like whole buckwheat and oats, you can transform them into a flour using a spice/coffee grinder. I use this method for my sunflower seeds as well because as of now, I still haven’t been able to find a supplier for sunflower flour. In my opinion, milling your own at home is better because it makes your loaves taste so much better and fresher. To store gluten-free flour, grains, or seeds, keep them in your pantry until ready to open. If you use them very regularly transferring them in glass jars is excellent. If you don’t bake often, keep your jars in the fridge. Or you can freeze opened leftover packages. When I test bread recipes in my kitchen, I always try to include various ingredients that will enhance the flavour, the nutrition value, and the texture of the loaves. Baking with gluten-free flour and seeds is different. There is a learning curve to master the right texture, and hopefully, I’ve simplified the process enough to make it less intimidating for you to try. It’s important to note that this Buckwheat Sourdough Loaf Gluten-Free Vegan, once sliced, will feel slightly sticky to touch. In all the sourdough loaves I’ve baked reducing the amount of water added helps. Then again you don’t want to reduce it by too much and have the bread be too dry or even denser. Adding more water helps to increase the rise, but it can also make your free-form loaves flop and be flat. I’ve tested many scenarios, and this recipe is what worked best for me. As you get more confident with gluten-free and vegan baking, you too will want to tweak the ingredients to customize the recipe to make it your own. I’ve used this recipe not only as a free-form loaf but also for rolls, mini loaves, and even pizza crusts. 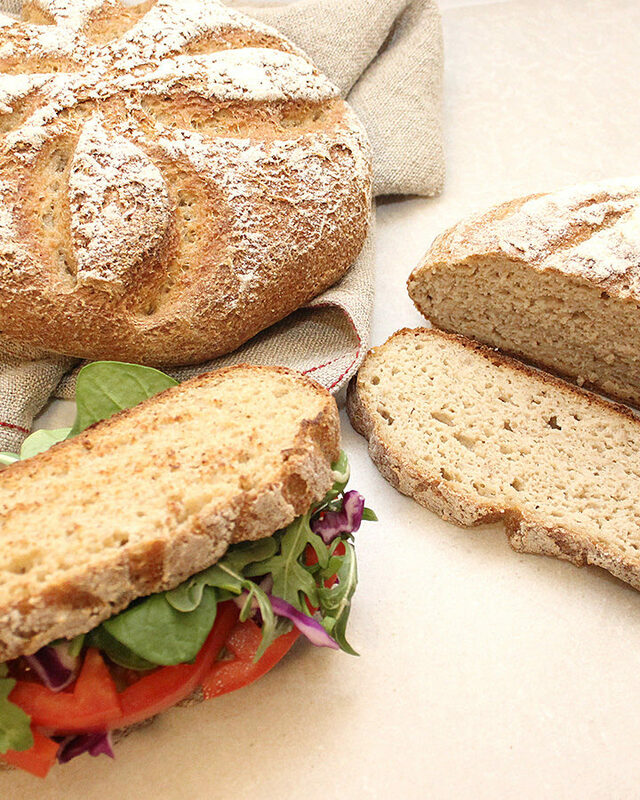 Make a loaf on the weekend and have all your sandwich and toast needs covered for the week. Store it on the counter for one day, then refrigerate. Will keep well for up to 7 days. You can also slice the loaf and freeze it until ready to eat. What is a gluten-free sourdough starter anyway? The leavening agent for this bread recipe is wild culture yeast (gluten-free starter) that anyone can prepare in their kitchen. 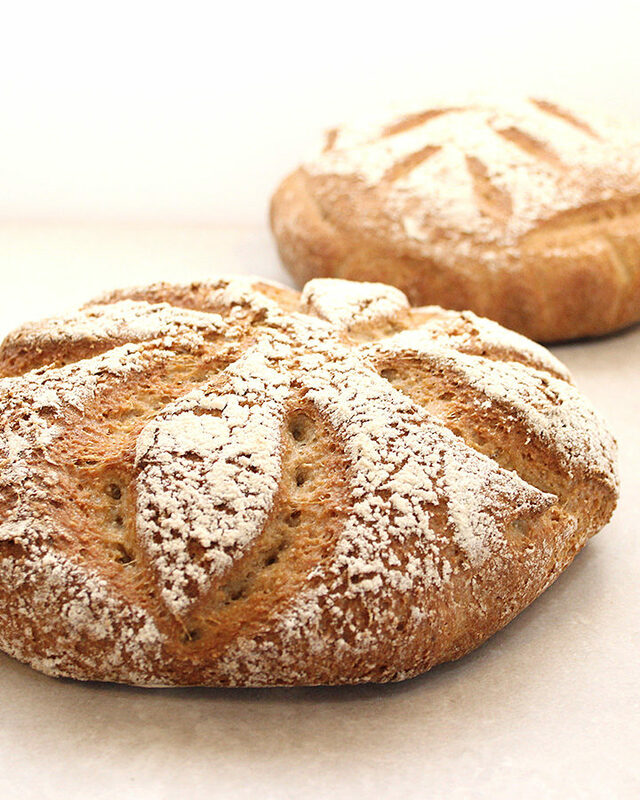 Most sourdough loaves sold in stores are fermented yes but are often wheat based. If you’re not sure, always ask. Some bakeries are getting creative and trying new things, so it’s possible to start finding gluten-free sourdough nowadays. My tested and true gluten-free starters are made with organic, gluten-free brown rice flour and clean filtered or spring water. Do not use water directly from the tap to create a starter. Chlorinated water will not work with this process. The next post will include instructions, tips and tricks for you to create your first bubbly starter. Your kids might like this science experiment. I’ve been fascinated with baking bread, ever since I was a young child. As a kid, I would attempt making these intricate recipes that would end up very dense and well not the best to share with my family. Who knew that one day I would bake again but this time without wheat or gluten and instead other healthy grains that are better suited for me and my family’s dietary restrictions. You love bread but are not ready to attempt a sourdough loaf just yet? Have a look at the Basic Yeasted Dough recipe. It’s a great beginner recipe to try. Especially, if you have a variety of bread needs to fill. If you can’t eat yeasted bread, you could try the Yeast-Free Bread recipe. With one batch of dough for either recipe, you can make a large pizza crust or small rolls and mini loaves. Or divide one recipe into a couple of small personal sized pizza crusts, a few rolls and one mini loaf. How to make a gluten-free sourdough starter. 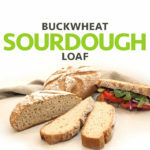 If you made this Buckwheat Sourdough Loaf Gluten-Free Vegan recipe, please take a picture! Share it on Facebook or Instagram and tag it #freshisreal #gfvbaking. I can’t wait to see your artisan-style sourdough boules! A less than 10-ingredient artisan-style naturally leavened sourdough recipe that transforms into a perfect little boule. This Buckwheat Sourdough recipe is gluten-free, vegan, allergen-friendly and requires some patience to prepare. No mixers or kneading required. Free of oil, corn, gums, and legumes. You will need an active gluten-free sourdough starter (wild yeast) before starting. Recipe and ingredients adapted and inspired by the lovely Heather Crosby Gluten-Free Baking Academy. An oven-safe Dutch oven or baking stone. The medium-sized Dutch oven will need to have a stainless or cast iron handle (heatproof to 450 degrees F) and will be no smaller than 7 inches in diameter (base) and 4 inches in high. The baking stone should be at least 12 inches in diameter. Cut a piece of unbleached parchment paper that will fit inside or on your baking vessel of choice, set aside. To a 2-cup measuring cup, add 1 cup of room temperature water with 1/2 cup (up to 3/4 cup) of hot boiled water, let sit until ready to use. Prepare and measure all your dry ingredients for step 4. Place sifter inside (or on top) a large glass bowl, sift and combine all dry ingredients; flours, psyllium husk, coconut palm sugar, salt. Add the 1 cup of starter and 1 cup of water and mix well until water absorbs. Add the remaining 1/2 cup of water and mix until all the water is incorporated. The texture of the dough should be like a thick pancake mix. Let sit for 2-5 minutes. If after a few minutes your dough looks too dry, add the extra 1/4 cup of water** (for a total of 1-3/4 cups), and mix. Transfer dough into a large soup bowl that your dough will fit into. Loosely cover with plastic wrap (or other wraps), let rise in a warm place for 2 hours. Read step 12 and 13 about preheating. Preheat the oven to 450 degrees F, at least 30-45 minutes before you are ready to bake the loaf. You will also need to preheat your Dutch oven (or baking stone) while the oven is warming up, everything needs to be hot! At the 2-hour mark, uncover bowl (your dough should have increased a little in size and it will rise more while baking). Sprinkle top of dough in the bowl with a little brown rice flour. With a spatula, carefully loosen the edges of the dough, pulling it away from the sides of the bowl. Have your parchment paper ready and gently transfer dough directly onto paper. Sprinkle more brown rice flour over the top and spread around with hands. Tuck in the dough at the base if necessary, and shape into a boule (round free-form loaf), move fairly quickly for this step. Remove Dutch oven (or baking stone from the oven), careful it will be hot, transfer dough with parchment paper into the baking vessel, cover (if Dutch oven) and return to oven. Bake for 20 minutes at 450 degrees F covered, then remove the cover for 30 minutes (ignore the covered part for baking stone method). For the last 5 minutes of baking (total time 55 minutes), you can remove your loaf from the Dutch oven and place directly on the oven rack without parchment paper. Your loaf should be ready when it sounds hollow and crusty when tapped with a finger. Let cool on cooling rack for a few hours or overnight (you can cover it with a tea towel). Please resist the urge to cut it right away; it needs time to finish baking and to cool down. Once cooled, slice, eat fresh, or toast and enjoy with your favourite spread. Keeps on the counter for one day, then refrigerate for up to 7 days. This loaf will not feel dry inside. It might even feel a bit sticky to touch. After the bread has been refrigerated it will feel hard and possibly stale to some. Once toasted it will warm up beautifully and taste amazing! If you want to consume it fresh, have a slice (or two) before refrigerating it. *Clean filtered or spring water. Do not use chlorinated tap water. ** If unsure about adding the extra water, it might be best to try it with the 1-1/2 cups to start. A free-form loaf will fall flatter if the dough is too wet. You will need a large glass bowl, measuring cups for dry goods and liquids, measuring spoons, a large wooden spoon, a spatula, a flour sifter, unbleached parchment paper, and a dutch oven or baking stone. A spice/coffee grinder or grain mill will help you grind the sunflower seeds, and other whole grains, into a fine flour. When using a Dutch oven or baking stone, preheating them in the oven at the same time as the oven is warming up is highly recommended. Flour: In place of buckwheat flour, you can use sorghum or millet flour (or half of each). Or you could consider using more oat flour to replace one of the flours. Gluten-free baking works best with a combination of grains and seeds. Psyllium husk: If you can’t eat or don’t like using psyllium husk, you could try just leaving it out or adding 1 extra tablespoon of arrowroot starch/flour with 1 tablespoon of ground chia seeds. Follow the rest of the recipe as listed. Note: I haven’t tested this substitution with this specific loaf recipe, once I do I will confirm the results. I only have powders hsyllium husk instead of hsyllium husk seeds, would that work? Or would chia seeds work? Hi Petra! If you only have psyllium husk powder that should work, just use a little less. One tablespoon should do the trick. You could us chia seeds or ground chia seeds too but I find that psyllium husk creates better loaves. Let us know what you end up trying! Of course, it can! Go for it! You can always line your banneton with a clean tea towel if it doesn’t have the fabric liner. I dust my dough and the tea towel with extra flour before placing the dough in it. Hi Alena! Thank you so much for trying this Sourdough recipe. I’m sorry that your first loaf did not turn out as you would have liked. Gluten-free sourdough can take a little time to perfect! Many factors can affect the overall bread; the ingredients (freshness), the climate (hot or cold kitchen), the oven (gas, convection, electric), etc. As for your starter, you can try covering it with a tight lid, but in my experience, I feel that the starter needs to breathe. I like to use a coffee filter or clean cloth. How was the inside of your loaf? If it was only the crust that was super hard? Was it baked for a little too long? Let me know if you have additional questions. I’m wondering if you can just use buckwheat flour instead of rice and oat flour? Also.. would just buckwheat work for the starter? What other sub can I use for sunflower? No nuts or seeds please!